The man who gave us Transformers! Does anyone know who George Dunsay is? No? He was Hasbro's head of R&D in 1983, and thus responsible for greenlighting the Transformers toyline. Mr. Dunsay has been kind enough to give me a lengthy interview about his involvement in the history of the Transformers brand, which you can read here. As some of you might or might not know already, that card Classics Grimlock is available on features an infamous error with a stock photo of Classics Jetfire being incorrectly identified as "Astrotrain", in addition to a minor typo ("expoit") in Grimlock's bio. These errors have so far been thought to extend to the whole production run. Dare I say? New toys out at US retail again! New Transformers The Movie Offical Site Revamped! Another Update: The official movie website has added another version of the movie trailer, it's the same as the one seen earlier on yahoo, but includes the voice of Peter Cullen as Optimus Prime! "Welcome back to the land of moving parts", Mr. Cullen! I'm gonna make this one short... New toys out at US retail. TFW2005 member TFmaster provided the visual evidence for having purchased the new figures from wave 4 of the 6" Titaniums, namely Soundwave and Rodimus Prime, at a Toys'R'Us store in Westland, Michigan. SixShot One Shot in Stores Today! A few hours earlier than expected, the official trailer for Michael Bay's live action Transformers movie is online! Well, there are several international versions, including a French and a German one... and there's also a UK version in English. Don Murphy the Producer of the Transformers Live Action Movie has posted a comment on his site HERE in part about the Transformers Live Action movie. Michael Bay has posted on the website "Shoot for the Edit" the following comments about the forthcoming Dreamworks Transformers Movie Teaser Trailer that is due shortly. Cool TF Auctions: Beast Wars 64 and Japanese TF cartoons! As you may know, there are only 3 American Transformers Video games. Here is a chance to get one that is really cool! The BW 64 game is better than the PS1 game based on its more than a fighting game. Hi I am Xavier6 and hope to bring you more cool auctions over the coming weeks. Hasbro stock photos of Titanium Cheetor and The Fallen, "Classics" Soundwave reissue delayed? Big Bad Toy Store features the first Hasbro stock photos for the Titanium figures of Cheetor (based on the Beast Machines toy) and The Fallen (from Dreamwave's "The War Within vol. 2: The Dark Ages"). While both figures have been on display at BotCon, this is the first look we get at the vehicle mode for The Fallen. TF theme writer, Anne Brynt sues Sunbow. Interseting press release. Mouth04, Allspark Admin and Target employee, has brought us some interesting news on new DPCI numbers from the Transformers Movie Products. Here is a list of the latest. Lots of news surrounding Transformers Movie hits the wire. - Shoot for the edit.com reports that the Movie Teaser Trailor will be released Dec 22! Thanks to Seibertron.com for the heads up. - Jalopnik has posted CGI images of Megatron, Bumblebee and Optimus Prime. Hey everybody! Long time no post. Let's make this short: TFW2005 member MagnusPrimal reported having found Jetfire, the only new toys from the second wave of the Classic Voyager class, at a Wal*Mart store, and other reliable people have since confirmed also having seen the toy at their local stores. Happy hunting! Credibility given to the intent to make Transformers (live) 2 and 3! Wow, well apparently, the level of fan interst really has caught the attention of Hollywood movie execs. I've heard casual mention by producers wanting Transformers the Movie (live) to become a multi-film franchise, but apparently they're getting serious! possible issue with TFTM 20th Anniversary DVD? We received an e-mail regarding a possible bug with the 20th Anniversary Edition, Transformers The Movie. New toys out in the USA once again. Transformers Author David Cian has been interviewed HERE at the Energon Plant site. Check it out if you care too. Looks like the Cybertron line is over for good. TFW2005 member Larkin Vain reported that another packaging variant of Cybertron Primus, this time exclusive to Wal*Mart stores, is out, with the first sighting hailing from Hawaii of all places. Citroen Ad Features Transforming Auto, Real Transformers Exist! It's been a while, but... new toys are out at US retail! And two lines are apparently being brought to an end by this. Don Murphy's TRANSFORMERS THE MOVIE related site has now been visited by Transformers author David Cian HERE where he discussses his work on the previous Transformers novels he's written or Edited Thus He also discusses some elements of The Transformers Prequels novel that he's writing with regard to the 2007 Dreamworks Transformers movie. Several reports of the 20th Anniversary Optimus Prime "DVD Edition" re-release being out in stores. Report your own sightings here. New releases first... Several reports are coming in of the Costco exclusive Cybertron Optimus Prime/Wing Saber two-paxk being out. Report your own sightings here. Good news for those interested in our new Golden Disk Accessory Pack, who cannot attend Botcon (Why not? You should come!) They are now available for pre-order at bigbadtoystore. The BotCon 2006 coverage starts! Only a few days after various online retailers got the first shipments of the long-awaited toys from the new Classics line in stock, sightings for those toys at Fred Meyer stores in Washington state start to emerge. Don't get your hopes up too high just yet, but it seems Alternators aren't quite dead yet, despite the current hiatus. Sony BMG has announced that there will be a special advance screening of the 20th Anniversary Edition of TFTM. Read their complete press release below. Okay, what should I report first? New toy out in the USA or new official Hasbro stock photos of upcoming toys? Check out a preview of the main menu screen now provided at: www.TRANSFORMERSthemovieDVD.com, their complete press release is shown below. Can you guess? New toys (or statues, depending on how you view them) out in the USA! It's true, even though I've had trouble getting cartoon network's site to properly load, new episodes of Transformers Cybertron are airing on Cartoon Network, the remainder of this week and at least for all of next. Set you're vcr/tivo's! 5:30am central. Ouch. We have received several e-mails alerting us to an IESB.net interview with Tom DeSanto and Don Murphy, producers of the Transformers live-action movie. It's pretty good stuff. Check it out and thanks to all for the heads up! There have been some really interesting posts by Brian Goldner, of Hasbro regarding all of the leaked pictures from the Transformers MOVIE. Primus, do I have a lot of news today! At comicbookmovie.com you can see some of the first pictures of the up-and-coming Transformers Movie action figures. Plus there is a picture of Bumblebee's... um... robot... Sorry, its the only way I know how to put it. Anywho, happy viewing everybody! We have received several additional updates and clarifications regarding the Transformers the Movie online event tomorrow with the film's writers Bob Orci and Alex Kurtzman. 2. The event is at 11am PACIFIC time. Shameless plug here: I just launched my latest project, called "Transformers: Heads", which is intended to compare all the different renditions and interpretations of the G1 characters/toys' heads, be it new toys intended as an updated version of the G1 character or comic book or cartoon interpretations. Found on ebay are some great high-res pics of 6 inch Titanium Optimal Optimus, G1 Scourge, and upcoming Jetfire. Ultra Gear! Just a reminder everybody, the Trade Paperback release of Transformers: Beast Wars: The Gathering is being released this month on the 25th! Say it with me; That's just Prime! New repaints of the BW 10th anniversary Optimus Primal and Megatron have surfaced. The repaints are supposed to resemble Universe Primal and Armada Megatron respectively. You can find the pics here. They will probably come out in the Cybertron line, hence the Autobot and Decepticon symbols, they are rumored to be priced $9.99 at stores. 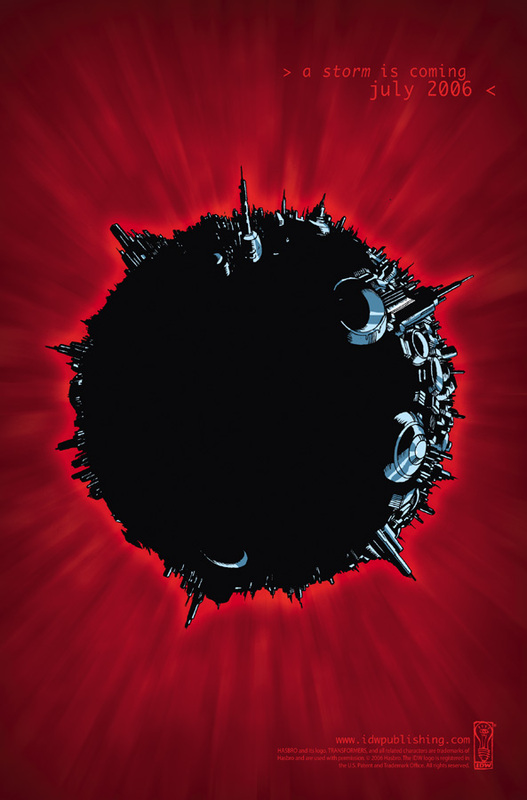 Exciting news from the Don Murphy Board & UK Release news about Alternators. "if you start a thread about toy questions I will ensure our designers answer them regularly". Another new toy out in the USA! TFans member First-Aid reported here having found Alternators Autobot Camshaft (repaint of Prowl) at a Wal*Mart store in Rockford, Illinois. As always, remember to report your own sightings of Autobot Camshaft here! Another day, another new toy out at US retail. TFW2005 member Schnafe reported here having found Cybertron Quickmix at a Wal-Mart store in Tucson, Arizona. Oddly enough, he ships together with the original version of Vector Prime again, whereas the "Galaxy Force Vector Prime" repaint will not come out until the next wave of Voyagers. Finally! A new update has been made to the Botcon website. Here you can see the cover art to the Botcon 2006 figure set box art! Notice that you can see Rattrap, even though his figure has not yet been previewed. Rattrap is planed to be a redeco of Ransack. Press Release: Sony BMG Music Entertainment offers sneak peek at newly commissioned transforming artwork for Transformers: The Movie 20th Anniversary Special edition DVD cover. Image to be Revealed Piece by piece on web site beginning July 7th. SONY BMG To Discuss Special Edition DVD At Comic-Con July 20th. One last reminder, the fan convention Iacon One is happening this weekend in Fort Wayne, IN with guests Venus Terzo, Scott McNeil, David Sobolov, Bob Budiansky, and Don Figueroa! Even at the danger of sounding like I'm repeating myself... New toys are out once again in the USA. Finally, thinks start making sense again. The dry spell is over. Between the Allspark and TFW 2005, multiple sightings confirm that Cybertron Menasor has finally been released at US mass retail - well, at least at Wal*Mart for now. Remember to report your own sightings of Menasor here. Another mystery solved: The repaint of Vector Prime we've seen at Wal*Mart's website before and who will ship in the same wave as Quickmix will be named... Galaxy Force Vector Prime. One of the Dreamworks 2007 Transformers Movie crew has made some comments about a scene they witnessed during filming; the comments can be read HERE the characters being discussed are shown in the Dam images I linked to in the prior news posting, so you can see why they think they are underdressed to meet the Secretary of Defense. So here's some quick Movie news catch ups. Starting with some 2007 Transformers Movie Set pics HERE and HERE and lastly in case you missed it the Official Transformers Movie site has gone online HERE (caution may require a Flash download). Click here for a new preview from the new souvenir accessory set to be released at the Iacon One convention, designed by our friends here at Unicron.com - featuring Megatron's DISK PROJECTOR! As a follow-up to the last batch of new official Hasbro pics, there were also pics of Deluxe Class Demolishor (Armada Demolishor repaint) added later. You can see more photos of that toy from Remy. With just one week left for Iacon One pre-registration, there's another fun tidbit to reveal... our souvenir art prints are drawn by none other than fan-favorite artist Don Figueroa! We've opened up our entire history of sightings and reviews. Want to see when and where an old toy /really/ came out? Want to share your opinion on a toy in your collection? At the top of the sightings and reviews sections you'll see archive links going back as far as we have. It's "new official Hasbro photos of upcoming toys" day! Andy Wildman and Simon Furman from various Transformers related projects over the years, have been interviewed about their time working for Marvel UK and also make some comments about the Dreamworks Transformers Movie. First photos from the Transformers Live Action Movie set! Anyone who wants to find out more about obscure variations of Transformers toys should check out TF-1, the new site by the Transformers fandom's toy detective no. 1, the one and only Maz. No mention of weather it will be wide screen or not, but we received the following press release regarding "Transformers the Movie, 20th Anniversary Special Edition DVD"
SONY BMG MUSIC ENTERTAINMENT USHERS IN A NEW ERA OF TRANSFORMERS-MANIA WITH TRANSFORMERS: THE MOVIE 20TH ENNIVERSARY SPECIAL EDITION DVD. Click here for a preview of the first two pieces from the souvenir accessory set to be released at the Iacon One convention, designed by our friends here at Unicron.com - featuring THE GOLDEN DISKS! TF news is kinda slow here in Oz as nothing much happens here that's exclusive to Australia. Local DVD company Madman are putting a stop to that with news of their Beast Wars complete season sets packed with extras not found on any previous DVD release anywhere on Earth! The Alamogordo Daily News has an article dealing with the military involvement and early set construction to do with the Dreamwave / Angry films Transformers movie the article can be found HERE This article also includes our first seen onset Photographs. I thought I really ought to stop by and make mention of the general crazyness that has decended on the world of the Dreamworks / Angry Films Transformers Movie production. Mr. Moto of TFW2005 has posted the first 11 pages of Stormbringer #1 due in July. You can find it here. In case you were wondering, Free Comic Book Day only had the first 5 pages. TFW2005 member Cataclizm1 reports here that Cybertron Metroplex has been released at US retail and backs it up ith a receipt photo! 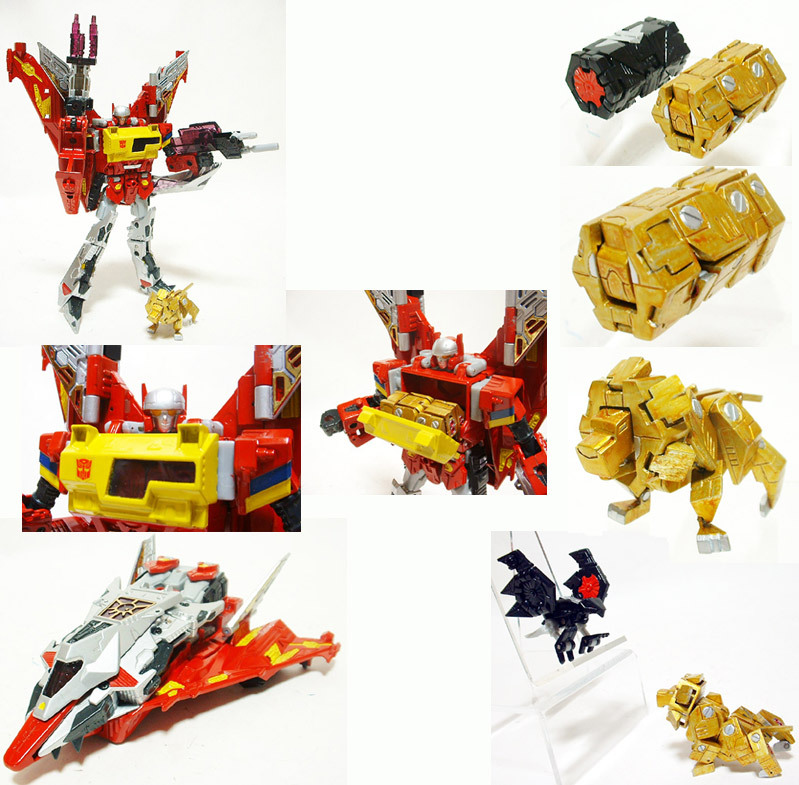 He also reports that Cybertron Nemesis Breaker, the evil repaint of Leobreaker, has been released as well, which is further backed up by TFW2005 veteran mag_jr. in the same thread. Dr Fang of the Allspark originally reported here having spotted Galvatron from the third wave of the Legends of Cybertron toys at HEB, a local grocery store in Texas. Free Comic Book day was a hoot! Thanks to all who came out and said "hi!" We were fortunate enough to get a chance to interview Don Figueroa and hope to get it fully transcribed and uploaded in the next couple of days (stay tuned)! The Stasis Lock Group proudly announces the rest of our voice actor guest lineup for Iacon One, on July 7-8 in Fort Wayne, Indiana, celebrating the 10th anniversary of Beast Wars! Hot news day! The official BotCon website has been updated with new details about this year's BotCon, which will be held in Lexington, Kentucky from September 28 - October 1. In what appears to be one of their most susprising, and at the same time still rather predictable decisions, the official Transformers Collectors' Club just announced their first "regular" exclusive toy for this year. See it for yourself here. TFW2005 member Cataclizm1 reports here having purchased Alternators Optimus Prime at a Wal*Mart store in Torrance, California. Remember to post your own sightings of Alternators Optimus Prime here! Finally, new releases spotted at US retail! TFW2005 and Allspark member Terradives reports here and here that the new toys from wave 7 of the Cybertron Scout Class, namely Shortround (new mold) and Repugnus (Undermine repaint), have been found at Wal*Mart in Springfield, Missouri, and provided receipt photos to back up his claim. The Don Murphy site has commented upon the recently added Michael Bay Transformers Movie set visit info at Aint it cool which raises a frankly huge number of questions. There appears to be a major Transformers movie casting update, released by IGN. Lots of new [anticipated] cast members named in addition to Shia LaBeouf, including Jon Voight, Michael Clarke Duncan, Josh_Duhamel, Bernie Mac, Tyrese, John Turturro, Rachael Taylor, Megan Fox, Travis Van Winkle, and John Robinson. Where to start?? How about this, seems like a good time to unleash the all-new character page for LEOBREAKER uploaded and ready for viewing in the 2005 section. The wait is over! Cybertron Soundwave has been confirmed sighted at US retail. You can see receipt pics here courtesy of TFW2005 member infinitron, and here courtesy of TFW2005 member Devastator001. BTW, check out this coolness! "Masterpiece Ironhide" auction, a kitbash but very cool none-the-less. Comic book writer, editor and illustrator BOB BUDIANSKY will also be appearing at Iacon One. Bob was the editor on the very first Transfomers mini-series in 1984, followed by scripting most of the next 50-plus issues of the monthly Transformers comic book. In between, he named and fashioned character profiles of well over 100 Transformers. - Wave 3 of the Legends of Cybertron sub-line (Galvatron, Soundwave, Vector Prime and Red Alert) is currently out in Hong Kong and Canada. On the topic of Free Comic Book Day, if you live on the eastern side of the good old U.S. of A., Sarge's Comics has the date of FCBD as May 6th. And more releases! Once again, TFans member Decepticharge provides visual evidence, this time for Cybertron Ultra Class toy Sky Shadow having been released in the USA! And just so he won't be alone, TFW2005 member Christoph Prime confirms that Sky Shadow's casemate, Wing Saber, has been released as well. See here for the confirmation. Aaaaand more releases! TFans member Decepticharge is the first to bring us a receipt photo of the new toys from wave 6 of the Cybertron Deluxe Class, namely Excellion and Override GTS. Make sure to pick up a copy of IDW's Transformers: Generations #1. This title reprints some of the hard to find Marvel series from 1985 forward. Information, including cover pictures can be found here. A review of the original release is located here at the bottom of the left side. This title will only last as long as sales demand it. Hasbro have provided new preview images of upcoming toys for online retailers. Get a good look at Cybertron Nemesis Breaker (Voyager Class, evil Leobreaker repaint), Menasor (Ultra Class, new mold), Metroplex (Leader Class, new mold) and PRIMUS (Supreme Class, with Unicron head pack-in feature) here at TFW2005. Have you been reading IDW's Beast Wars? Confused how Magmatron's army arrives on Earth the moment the stasis pods are released, but wind up sometime in the third season? So were we, so we asked. Writer Simon Furman offers the following clarification. Once again, for those who down't want to wait until tomorrow to watch the new episode of Cybertron, entitled "Assault", you can already watch it here at the Hasbro Action website! The Iacon One Datatrax has been updated with unused character art for... Transformers Universe Menasor! Covert Agent Ravage, at your service! I'm one of the newest members to the Friends of Unicron and among other things will assist with TF news. TFs Voyager Armor Scattershot - either a repackaged Cyb Defense Scattorshot or a repaint. Hi Folks, sorry about a lack of update last week about what's been happening with regard to the new Transformers Movie, I've been as sick as the proverbial dog. So here is the latest as of 19th Feb 2006. Allspark member Transfan2007 confirms wave 2 of the Star Wars Transformers toys having been released at the Rancho California Target store. He provided receipt photos of Boba Fett/Slave I and Darth Maul/Sith Infiltrator here and also confirmed having spotted Anakin Skywalker/Jedi Starfighter at the same store. Cybertron Scouts: Lugnutz (Galaxy Force Roadstorm), Scrapmetal (GF "Ramble"), Repugnus (Undermine redeco) and Shortround (new Hasbro-only mold). In other news, Malin Huffman unveils info about a new Transformers convention. The American International Toy Fair 2006 is this weekend in New York City and that means, it's likely to be a very busy TF news week. Whatdya think of their non-fan article about the " Top 10 Hottest Transformers Toys and Action Figures? :) #1 I agree w/. #5 should be #2 but the rest?? 2,6,9 shouldn't be in a list of top 100, IMHO! Slowly but surely, Cybertron character pages are taking shape. Updates in the 2005 section, including Galaxy Force names and first appearances for the following characters. Basics Overhaul, Scattorshot, and Recon Team. Deluxe figures Hot Shot, Landmine, and Override. Voyager class Evac and Ultra class Jetfire and Scourge. Hasbro has provided online retailers with new images of upcoming toys: Boba Fett from "Star Wars TF" second wave and the rest of the 4th wave of the LoC: Sunstorm, Thundercracker (new mold, apparently superior (!) to the Deluxe-version) and redeco of Optimus Prime. Just a small update to the Rollbar/Ricochet story: TFW2005 member Omnibus Prime posted receipt pics today which confirm the US release of both toys once and for all. In other news, the latest edition of Insidepulse's "Cybertronian Enquirer" includes a rumor about a Cadillac XLR Alternator that is supposed to come out even before Rumble. Hi, folks. The Lukis Bros have kindly offered me a news post position here and therfore this is my first post. I'll primarily be concentrating on the events at the Don Murphy Board and any European news I come across. - The Cybertron Deluxe Class Red Alert repaint we saw before is named "Cannonball". He is supposed to be a Decepticon pirate (! ), decked out in skull decals. Scheduled for a May release. Sightings alert! Wave 5 of the Cybertron Deluxe Class toys is out in the USA. Bill of Bill's Toys and Games picked up Downshift and Cybertron Defense Hot Shot at a Wal*Mart Supercenter in Shreveport, Louisiana. You can see a visual proof here, and don't forget to post your own sightings of Downshift here and of Cybertronm Defense Hot Shot here! Well, it would appear that Cartoon Network are back to their old schemes again. Contrary to what was reported before, today did not see the debut of the first new Cybertron episode, "Critical", on Cartoon Network, but rather the first Cybertron episode total, "Fallen". More new stuff coming our way! Randy (aka Powered Convoy) of Cosmic Rust has discovered lots of new entries for upcoming Cybertron toys in Wal*Mart's computer system. Some of these toys have already been revealed officially, while others have never bene heard of before. As a follow-up to the story from three days ago, Entertainment Earth have now added images for all the upcoming new Cybertron and Alternators releases reported before. You can find the links here at the Allspark boards. Want to know how Hasbro originally discovered Takara's "Diaclone" and "Microman" toys which would eventually end up becoming the original Transformers? Hasbro are once again sending out official preview images for upcoming waves of toys.